Eikoh Design Studio // Handcrafted gifts for home, life and love. Have an idea of your own?? We LOVE custom orders! Contact us to see how we can help you create the perfect gift for your perfect moment. 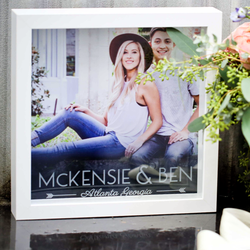 Our LifeSquare is personalized with your photo and includes a hand-sandblasted design in the glass to match your occasion. 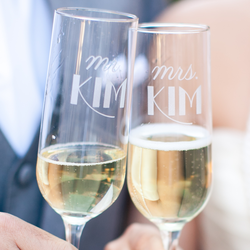 Personalize a set of glasses for the favorite couples in your lives. Great for engagement or wedding gifts, birthdays—or anytime! Stay tuned... to see where we pop-up next!